If this is news to you in any way (and it really shouldn't be) I am a big fan of both Screen Vinyl Image and bloody knives. 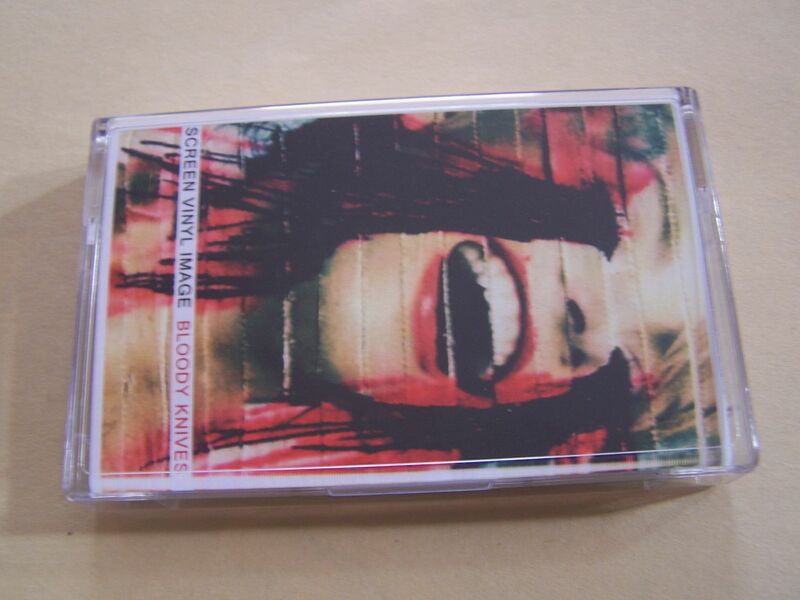 Both have interviews up on this site as well as other reviews than this, but this does mark the first time that they will be reviewed on cassette. You know, there are three different types of split cassettes. There are those with two artists you've never heard before, those with one artist you have heard and that helps bring you to the other which you haven't heard yet and then there is this. It's that pairing that just makes you go, "Wow, really?" 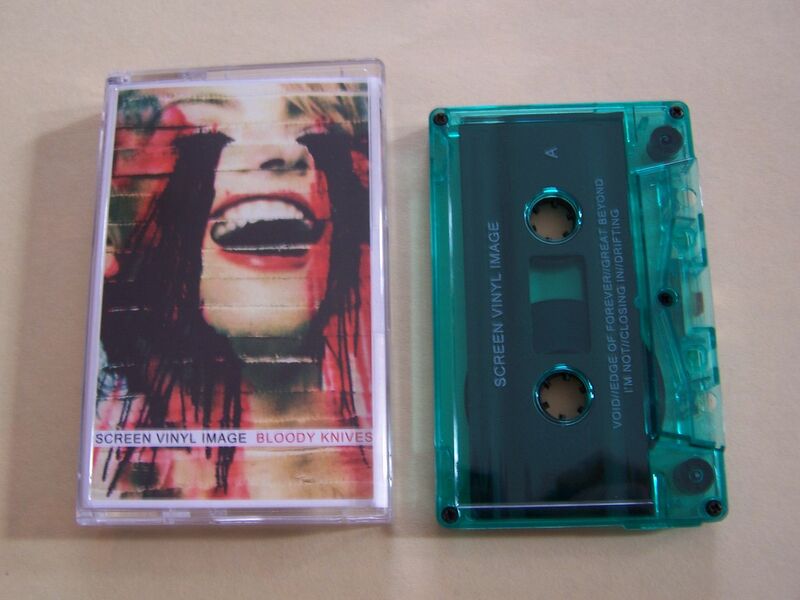 I first found out about this cassette because of a post I saw floating around on Facebook. It caught me kind of off guard because I guess I expected one of these artists to be partnered with some young upstart instead. It's like the pairing of a great tour except I don't have to leave the comfort of my own home. Really, I would have sought this out to hear had it been released on record, compact disc, digitally, 8track, smoke stack, whatever... 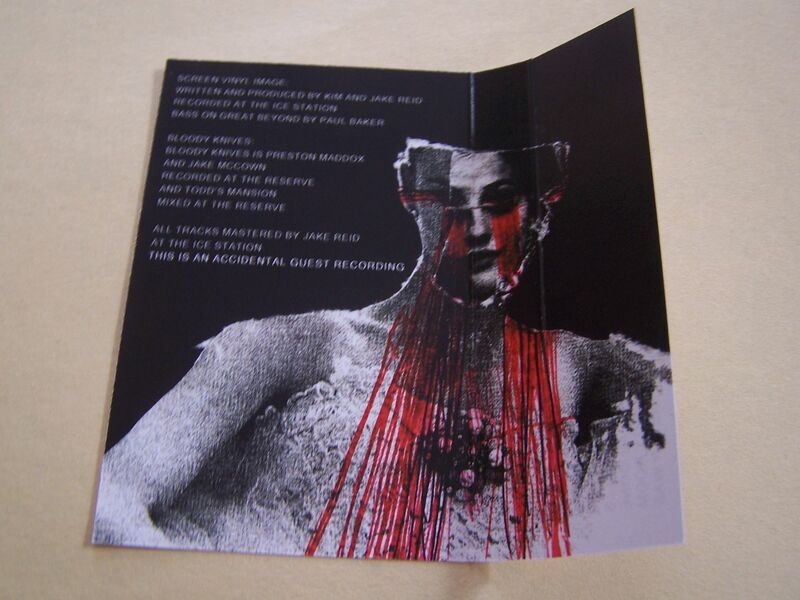 I am no stranger to buying a record of bloody knives because it was the only way to hear those particular songs and I'd do the same for Screen Vinyl Image. Now all of that being said I feel the need to point out something else that might seem obvious to someone who is familiar with these artists, but I'm writing this under the impression that those reading it may have never heard of them before somehow by, you know, ignoring the rest of this site and a good chunk of the internet on a whole. 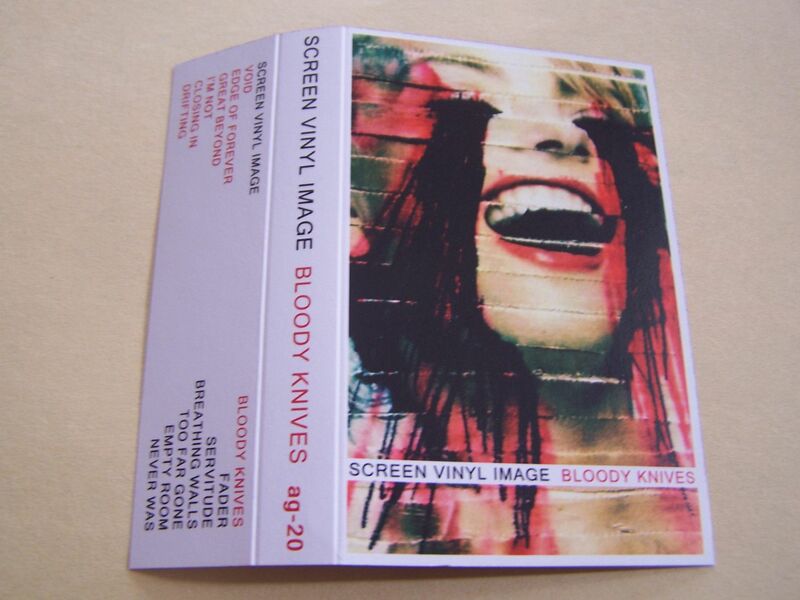 Anyway, this is an interesting pairing to me because Screen Vinyl Image sounds such a certain way while bloody knives sounds such a different way, even though they often end up running in the same circles. 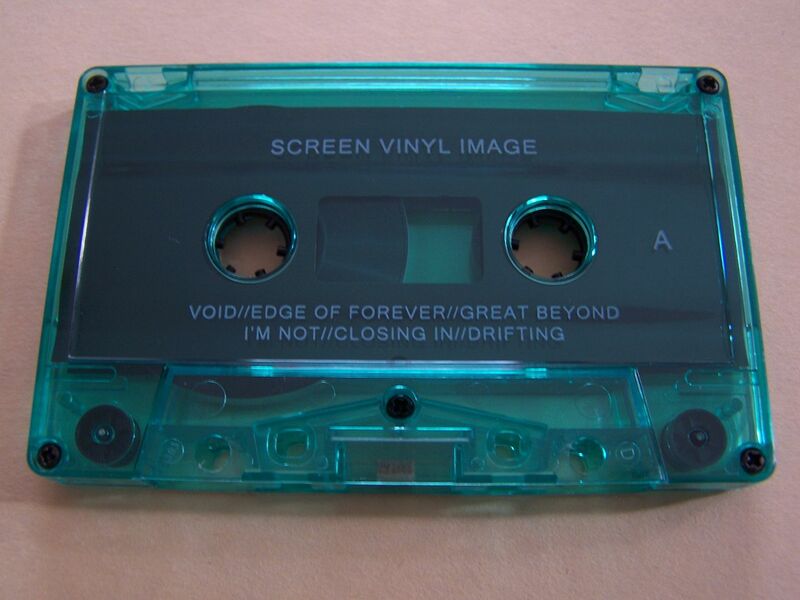 The sounds of Screen Vinyl Image destructive beats that could provide enough dreaminess to create a classic soundtrack to a movie from the 1990's such as "Breakfast Club" only not because this just operates on its own level. 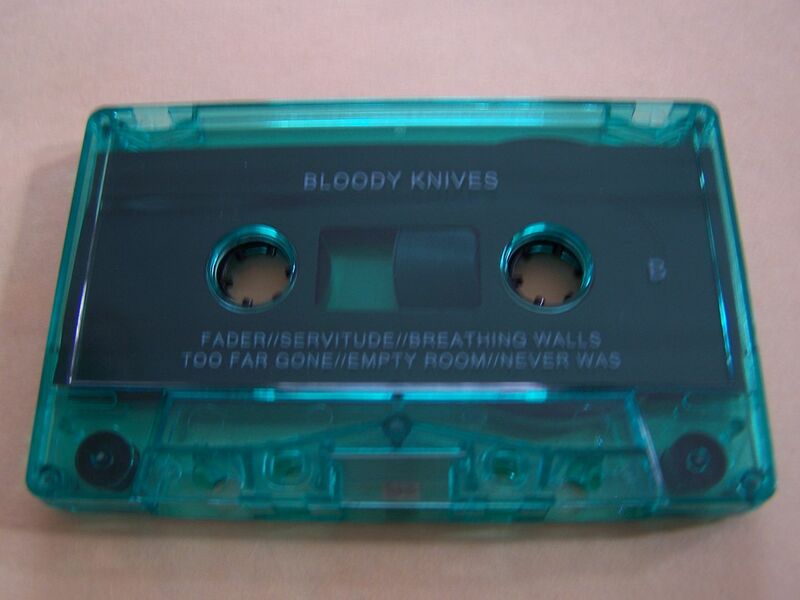 At the same time, bloody knives has a certain amount of destruction in the sound but it's more of a kicking down a keyboard stand during a live performance feel. While I still feel like bloody knives could be somewhere between Nine Inch Nails or Stabbing Westward and Screen Vinyl Image channels New Order on here at times I suppose the point of mutual sound could come from that time Trent Reznor covered a New Order song, but you know, that's kind of stretching it a bit thin don't you think? Just put this one on, turn it up and prepare to dance and most likely also break stuff. It's just so much fun from two of my favorite artists I just simply cannot say enough good things about.